Image: Floortje/JGI/Jamie Grill/Getty Images. Design: Ashley Britton/SheKnows. News that the United States refused to sign — and also reportedly aggressively pressured other countries to back down on — a United Nations-affiliated resolution in support of breastfeeding is making shockwaves across the globe. In a time when “breast is best” and "fed is best" discourses seem to be warring, the news that the U.S. took a staunchly anti-breastfeeding stance comes as a surprise to many, including global partners who have worked with President Obama’s administration and others to promote breastfeeding in years past. Of course, no one wants to downplay the value and importance of formula as a viable breast milk alternative for infant nutrition. The problem, though, is that the U.S. officials' decision wasn't guided by altruism so much as cronyism: The U.S. is one of the largest producers of baby formula in the world, with billions of dollars a year in revenue and a global valuation of more than $66 billion expected by 2027 according to Future Market Insights. Many believe the Trump administration’s position is entirely due to its allegiance to the U.S. food lobby. The only thing more appalling than aligning with lobby dollars over medical expertise (and global alliance) is the way in which the U.S. appeared to handle the whole situation. Multiple eyewitnesses reported that reps from the U.S. essentially blackmailed global partners, including threatening to revoke U.S. military and other support for countries such as Ecuador. Personally, I'm certainly not in the "breast is everything" camp — far from it. In fact, I've felt firsthand the shame of not being able to successfully breastfeed — and the sense of being a "failure" because I turned to formula. "Fed is best," and that's the truth. But even we formula-feeding moms cannot and should not agree with any thinking that puts bottom lines above the well-being of our babies — particularly those whose parents cannot afford formula, who are living in areas with compromised water quality or who may just need a little bit of guidance to get breastfeeding off the ground. "We cannot allow the U.S. to bully countries to suit their own commercial interests, nor can we allow them to undermine breastfeeding. 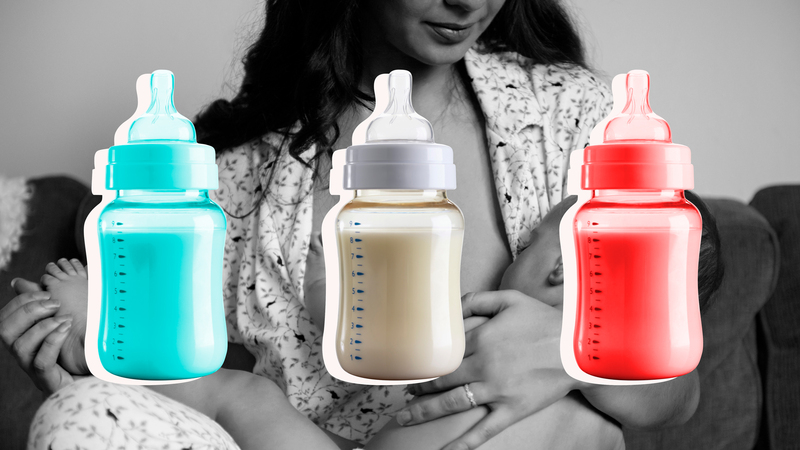 The health and survival of our children is at stake," nurse practitioner and international board-certified lactation consultant Julie Bouchet-Horwitz of the New York Milk Bank told SheKnows. "The public knows that breast milk is healthier than artificial baby milk. The high initiation rate of breastfeeding in the U.S. confirms that women want to breastfeed," Bouchet-Horwitz continued. A comprehensive study out of Ohio State University supports the American Academy of Pediatrics' recommendation that breast milk is the healthiest form of nutrition for babies during the first six months of life, and it also provides important antibodies to help fight infections well beyond the baby years. "In the face of clear evidence which shows that breastfeeding provides the most optimal health opportunities for mother's and babies alike, it is devastating that this administration would come out against the language proposal to 'protect, promote and support breast-feeding' as the healthiest way to feed their infants," certified lactation counselor and founder of booberJada Shapiro told SheKnows. "Breastfeeding is the most fundamental and simplest way to improve infant and maternal health and to literally save women's and babies' lives. While formula absolutely has its place, in many places around the world, this means using compromised water, which often leads to diarrhea, other illness and death in infants." Indeed, there is good reason to question the U.S.' emphatic promotion of formula (aside from the Mafia-esque tactics the Trump administration employed in a diplomatic setting on a global stage). In fact, according to a report put out earlier this year by the Changing Markets Foundation, formula companies were found to be marketing aggressively and inconsistently and to be making unproven claims (such as the idea that their products could cure constipation or were "as healthy as mother's milk"). This is certainly not the first time our current president has sided with profits over people. Still, of all the things Trump has rejected, I never would have guessed the breast would be one of them. Yet here we are.